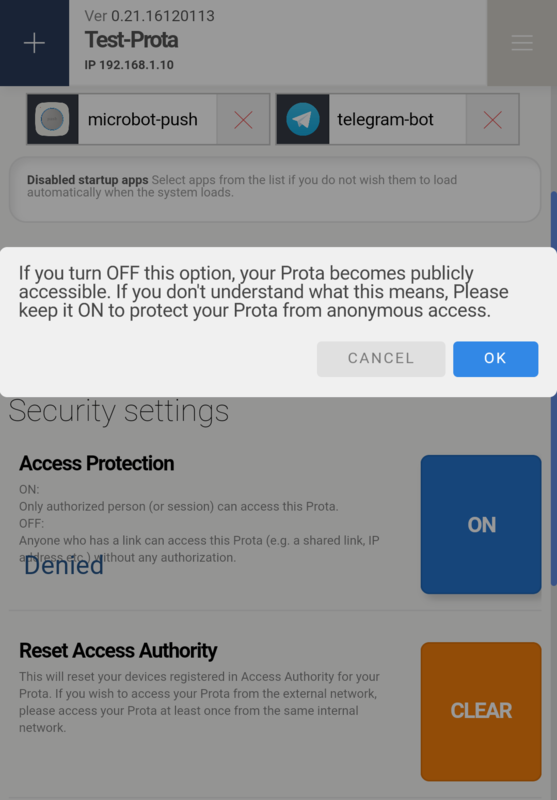 If the Access Protection mode is on, Prota can only be accessed through an access link or invitation access link. 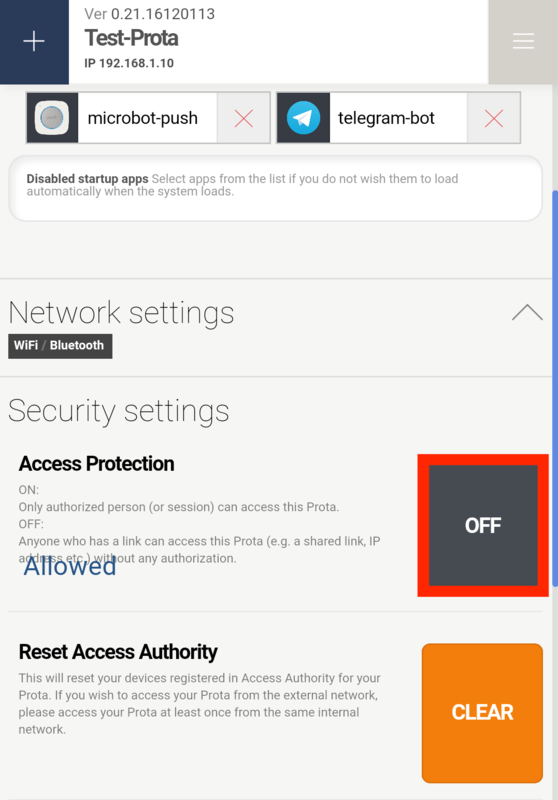 When it’s off, it can be accessed by anyone who knows the IP address of your Prota, without any limitation. 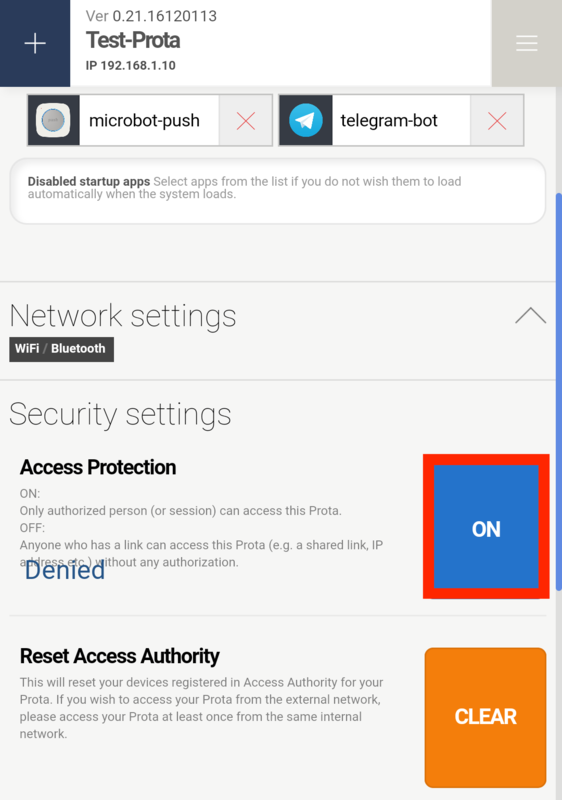 However, users cannot share an access link to anyone, unless they have actually accessed the Prota through an official access link.